If you have belly fat, it might eventually turn into deep visceral fat, which means you are at higher risk for heart disease and other problems. Thigh fat, on the other hand, doesn’t lead to health problems but might affect your self-esteem and body image. Fortunately, how to lose thigh and belly fat begins with a change in lifestyle, including exercise and eating habits. The more fruit and veggies you eat, the more likely you are to lose weight. That’s because these wonder foods are low in fat and calories, but high in fiber, so they keep you fuller for longer. 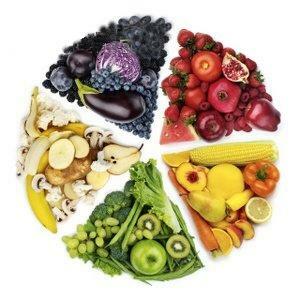 The key is to eat a variety every day, and look for a mixture of colors to ensure you are getting all the best nutrients. You should have five daily servings, and anything in the produce section goes: watermelon, oranges, apples, green beans, asparagus, peppers, and much more. There are two forms of protein: those from animals and those from plants. Within these two forms are three types: lean, medium-fat and high-fat. 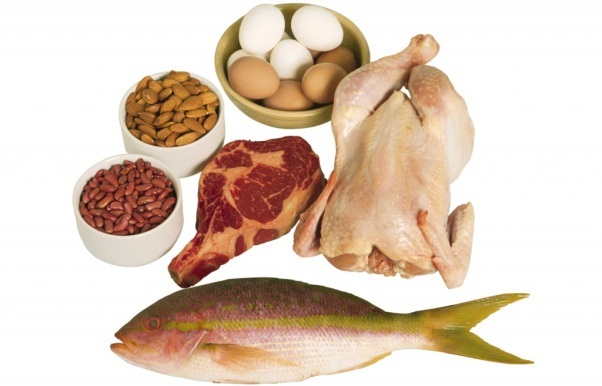 Lean protein is always best, and includes those that have very little fat, such as protein found through veggies, beans and fish. Medium-fat has many more calories, and high-fat has the most of all. These typically come from animal sources, such as pork or red meat. Avoid the last two and look for lean protein in order to lose stomach and thigh fat. 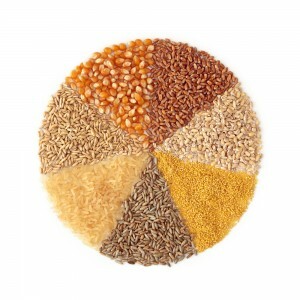 Pack your diet with high-fiber foods, such as bread, pasta, oatmeal, whole grains and brown rice. They keep you full for longer time since your body requires more energy to process them, and they speed up your digestion – so you absorb fewer calories. Besides, you get plenty of nutrients from these foods. 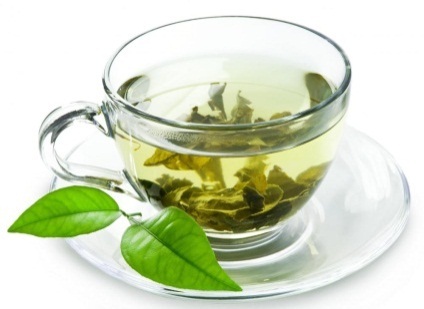 There are five drinks that are proven to help with weight loss. Water is at the very top of the list, and is the beverage of choice for those who need to know how to lose stomach and thigh fat. Other great drinks include vegetable juice, which is loaded with nutrients; unsweetened tea, which can speed up metabolism; and black coffee, which can give you enough caffeine to suppress hunger. Another option is skim milk, which gives you all the nutrients without any added fats. Cardio is a strong fat-burning exercise that gets you moving! The idea is to burn more calories than you take in, so your body has to turn to its own fat stores for energy. As it does this, the weight melts away. Try walking, running, bicycling, swimming, or an aerobics class. You can also engage in high-intensity sports, such as racquetball or basketball. When learning how to lose thigh and belly fat, you might think that strength training doesn’t work. After all, doesn’t it mean you put on weight in muscle? The fact is that strength training creates muscles that then burn more calories for you. Resistance training can also help to build your strength with lean muscle while burning serious fat. Start by lying on your right side. Your left leg should be stacked on top of your right leg. Lift your hips, using only your ab muscles, until you brace yourself on your forearm. Balance your body for 45 seconds, then switch to the other side and do the same thing again. Repeat this ten times. Get into the position you would use for a push-up, with your hands flat on the floor and your feet on the ground. “Walk” with your hands until you have gone as far as you can, then walk back. Do this ten times. If you want to be more challenging, lift one leg from the floor as you do this. Stand up straight, with a dumbbell in your right hand and your left hand on your hip. Lift your left foot to hip height as you lean forward and lift your right arm slightly. Do a biceps curl while you hold the position, then go back to the start. Do this ten times, then switch sides. Stand normally with your feet shoulder-width apart. Squat down until your legs are at a 90-degree angle. 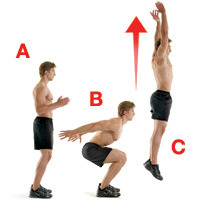 Then leap straight up, using your thigh and rear to push your body up. Land back in the squat position, then stand up. Repeat this ten times. This usually consists of a warm-up exercise, then high-intensity exercise for a solid three to ten reps, then medium-intensity exercises, then cool downs. The point is to work very hard and fast. There is no specific formula, but keep in mind that training this hard means giving all you have for a little while, then slowing it down a bit, then cooling down even further. Most sessions last thirty to forty minutes. Pay attention to the time, the amount of repetitions you do, and make sure you allow plenty of cooling down time when you’re done. Want to learn more about high-intensity interval training that burns belly and thigh fat? This video might help.